It's that time o' year again. Ye’ve seen yer mates rush to the palace shop fer a box o’chocolates or the bazaar fer a barrel o’ rum, but surely ye can be more inventive. This month€’s gold box is bursting with finds that the lass or lad in yer life will adore! What says “I hearty ye” more than a creature they can then name after ye? 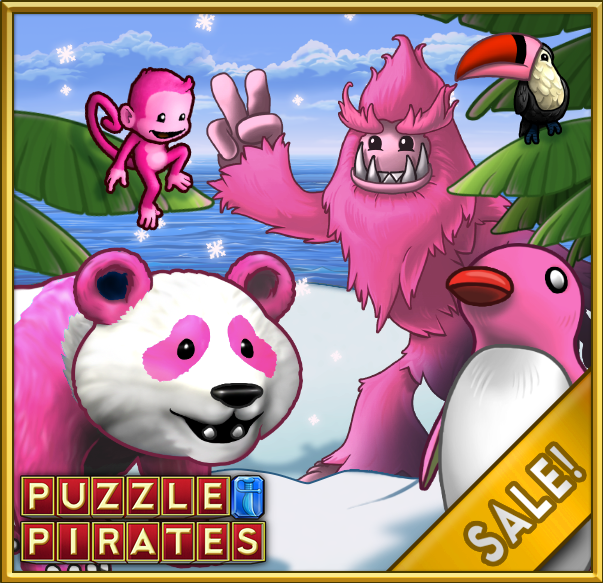 Ye'll find heart-swelling treasures including Love Birds, Smooching Simians, Love Yetis, Passion Pandas, Passion Penguins, chromas, and more. Find Gold Boxes at yer island bank until February 11th at 3 PM PDT. Get the full list o' goods right here. Best act fast before ye ferget the special day and yer forced to walk the plank!